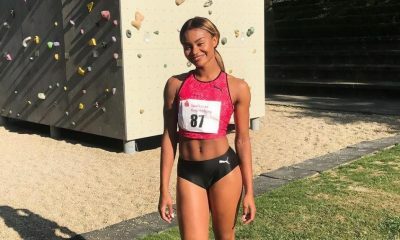 In her first ‘fast runners: class of 2018’ post, Imani-Lara Lansiquot reflects on January as she has faced the juggling act of an increasing university workload, training as a full-time athlete and an indoor season opener. Patience. The one word every sprinter (especially short) hates to hear! In the midst of the oncoming indoor season, exam season being as brutal as always and already being a month into 2018 (how?! ), I’ve chosen ‘patience’ as my buzz word for January. A big thing I have learned so far this month is that right now, long-term gains are always more important than short-term ones. Whether it be prioritising rest instead of running myself into the ground. Or choosing to study at home instead of going to uni and still having loads of work to catch up on. Or easing back one day so I can boss another – the long-term option has always left me feeling accomplished by the end of the week. I’ve realised this month that I’m not superwoman and that even though accomplishing things quickly in the short-term is attractive, dark circles under my eyes and a stiff back from sitting in a lecture hall for four hours is not. I’ve had a really positive month adopting this new approach. It inhabits a new sense of patience and mindfulness I’ve never tried before and allows me to work at my pace, in my own lane. However, nothing in life is really that easy – if only. Patience is best, but as the hype of indoors floods the timelines, suddenly you’re in your spikes getting ready for your season opener. On top of that, having two assignments due later that night soon results in the meditative approach thrown out of the window, as well as a bit of your sanity. 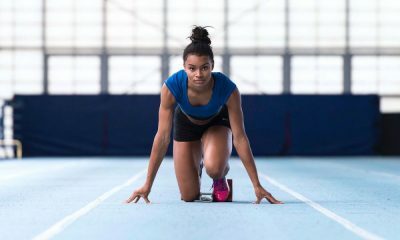 But this is the mistake loads of us athletes make, and in fact, with the season approaching, there is even more reason to prioritise and protect your peace of mind and aim for a patient approach – because ultimately this will help you to perform at your best. 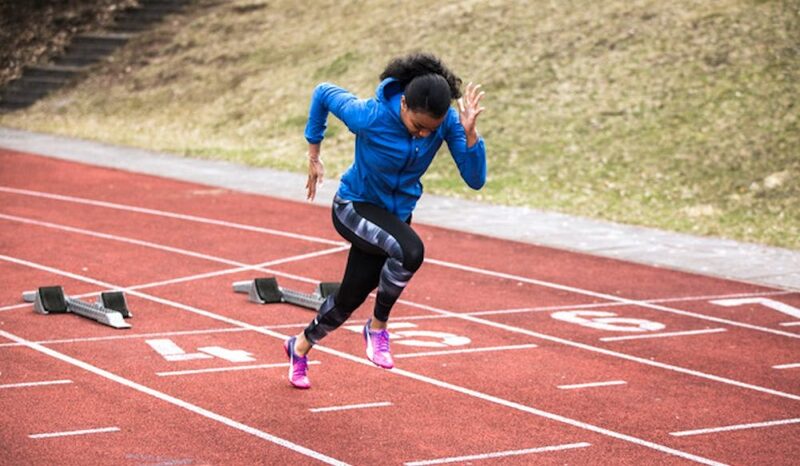 For me, having clear outcome goals for the indoor season doesn’t make the next few weeks a battle, but instead a really exciting time to benchmark where I am in my process towards the 2018 outdoor season and ultimately 2020. By stepping back into this perspective, it makes life (as intense as it is) a whole lot easier and more enjoyable. 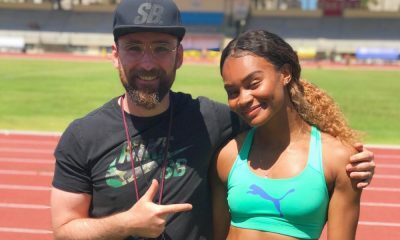 In training, coach Steve Fudge and I have pretty much learned a completely new dimension and style to my running, which hasn’t been easy to adopt, but I have been patient and am really happy with how I’m progressing. I was happy with my opening 60m race in Cardiff last week, which was my first in almost eight months. I am looking forward to building on that, hopefully running some PB’s and also gaining more clarity and confidence in my race plan! Monday: explosive track session, gym and university. Tuesday: university, then speed or speed endurance session and conditioning. Wednesday: treatment or recovery day. Thursday: explosive track session, gym and university. Friday: speed or speed endurance session, conditioning and university. Saturday: conditioning day (and sleep!). 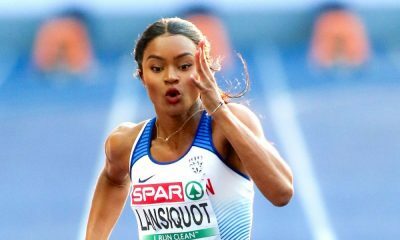 Imani-Lara Lansiquot is part of the ‘fast runners: class of 2018’ and will share her running journey every month throughout 2018. More about Imani can be found here and further information on the ‘class of 2018’ here.